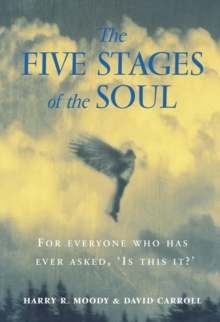 In these original readings of Albert Camus' novels, short stories, and political essays, David Carroll concentrates on Camus' conflicted relationship with his Algerian background and finds important critical insights into questions of justice, the effects of colonial oppression, and the deadly cycle of terrorism and counterterrorism that characterized the Algerian War and continues to surface in the devastation of postcolonial wars today. 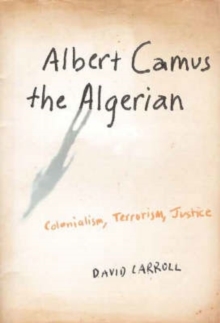 During France's "dirty war" in Algeria, Camus called for an end to the violence perpetrated against civilians by both France and the Algerian National Liberation Front (FLN) and supported the creation of a postcolonial, multicultural, and democratic Algeria. His position was rejected by most of his contemporaries on the Left and has, ironically, earned him the title of colonialist sympathizer as well as the scorn of important postcolonial critics. 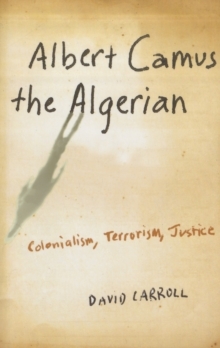 Carroll rescues Camus' work from such criticism by emphasizing the Algerian dimensions of his literary and philosophical texts and by highlighting in his novels and short stories his understanding of both the injustice of colonialism and the tragic nature of Algeria's struggle for independence. By refusing to accept that the sacrifice of innocent human lives can ever be justified, even in the pursuit of noble political goals, and by rejecting simple, ideological binaries (West vs.
East, Christian vs. Muslim, "us" vs. "them," good vs. evil), Camus' work offers an alternative to the stark choices that characterized his troubled times and continue to define our own. "What they didn't like, was the Algerian, in him," Camus wrote of his fictional double in The First Man. Not only should "the Algerian" in Camus be "liked," Carroll argues, but the Algerian dimensions of his literary and political texts constitute a crucial part of their continuing interest. Carroll's reading also shows why Camus' critical perspective has much to contribute to contemporary debates stemming from the global "war on terror."